Trekkies will probably know where I’m going with this. For everyone else, the Kobayashi Maru comes from the original Star Trek movie series, and is a Star Fleet cadet training exercise that first showed up in the movie The Wrath of Khan. 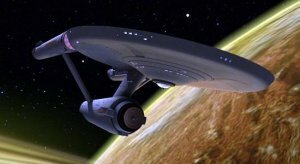 It involves a computer simulation where any Star Fleet cadet aspiring to command a starship winds up confronting the ultimate no-win scenario; a confrontation with an enemy that culminates in the destruction of the ship they’re commanding as well as the death of everyone on board, including the cadet. 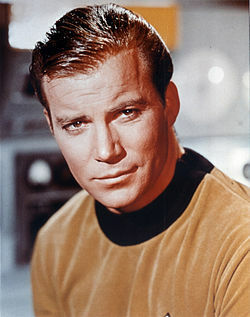 In one of my favorite plot twists, a determined James Kirk (image from Wikipedia) manages to sneak in and rewrite the computer program before he takes the test as a way to win the confrontation, but the program was designed as a battle to be lost. That was the whole point; to determine the true character of a cadet by seeing how they responded to certain death. After all, as Kirk himself later said when defending the test to a disgruntled cadet, how one deals with death is as important as how one deals with life. Personally, I don’t think you can separate the two because, for the most part people tend to die the same way they live. Fighters go out fighting, those with a good sense of humor find something to laugh at, controllers try to control the whole process, co-dependents worry about everybody else, and graceful people surrender with a level of dignity that humbles and awes the rest of us. Trust me on this one…ALL of the virtues and flaws we cultivate in ourselves through our years of living are going to show up in spades when the dying time arrives. Working with hospice was like watching people take the Kobayashi Maru, only in real life. I found myself in the extraordinary position of watching person after person confront the certainty of their own death, and it was…well…it was a thousand things. It was amazing, curious, humbling, horrible, surprising, heartbreaking, staggering, frightening, illuminating, and inspiring. Getting the chance to witness and learn from so many different people facing this last and greatest test was a rare, rare! and priceless opportunity. (…a fact that somehow, almost nobody seems to grasp. So strange…) And while everything I learned will unquestionably help me face my own death with greater equanimity, courage, and grace when the time comes, far more importantly it’s helping me to also LIVE MY LIFE with much greater equanimity, courage, and grace until then. Next to giving birth, working with the dying was…hands down…the most life-affirming, life-nourishing, and life-celebrating thing I’ve ever done. I could never thank or speak highly enough of the people who allowed me to be with them, there at the end. It was truly an honor, a privilege, and a gift. And they were lucky, blessed, and privileged to have you at their sides and supporting their loved ones during the process. “ALL of the virtues and flaws we cultivate in ourselves through our years of living are going to show up in spades when the dying time arrives.” This is a sobering consideration. All the more reason to try to live one’s life the way we’d like it to be described upon our exit. Exactly! One of the many reasons why considering how we’re going to die…right now, long before it happens…is a worthwhile thing to do! ← How to live the best life? Look back from the future.